Best 3rd Place Cover Girl Shot? What is your favorite/best photoshoot of Cycle 11? Who was your favorito Asian topo, início Model Contestant? Which Cycle has the best judging room? 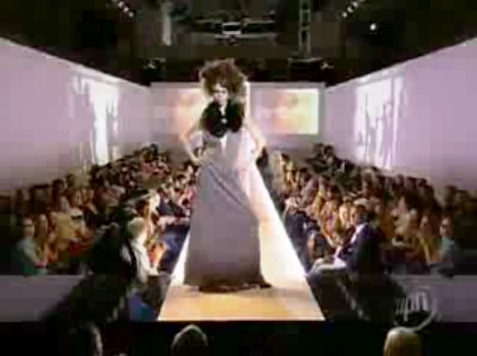 Who had the best makeover shot in ANTM history? What will be the strategy for Cycle 20, all-star girls and new boys, or new girls and boys? Will the Co-ed Edition Cycle be just like in the British Invasion? Which one of modelos you want to be send home? As the saying goes, all good things has an end, and in this case ANTM was no exception because yesterday [10.14.15] Tyra announced via twitter that this cycle  was to be the last...How sad is that! The show is back with seven guys and seven girls, all competing to be America's seguinte topo, início Model. Tyra is leading the panel of judges as usual,with fashion PR Kelly Cutrone, Photographer Yu Tsai and pista diva coach extraordinaire Miss J. As you may know, cycle 22 is all about being not too short and not too tall, like Tyra said in the first episode "You can't put beauty in a little circle", as a plus this cycle features the first Asian male model contestant (Justin Kim) and the first deaf male model contestant (Nyle DiMarco). Since the first episode, Cycle 19 was a disappointment for me. That may have been because C18 was, in my opinion, amazing, as was C17. I liked the idea of using college girls from a mix of Ivy League and community colleges because ANTM is a cultural influence on teenage girls throughout the world and so this may have been a huge encouragement for some of them. Shame that these were some of the bitchiest, shallow and most two-faced girls I have seen so far on this show. Some role models. The America's seguinte topo, início Model All-Stars season is only the beginning of the new, improved, and even mais crazy than usual topo, início Model (with new judge Kelly Cutrone). Apparently Tyra has found a new twist on the topo, início Model formula for Cycle 18: Half of the girls are American, as per usual, but the other half are British. It's a whole new thing for the girls to hate each other over. The newest cast debuted at a public pista show in L.A; proving that Tyra had spoken the truth with her proclamation that there would be no mais "normal cycles" of the show. Big news in topo, início Model land, Tyra Banks has asked 14 anterior ANTM contenders to return for another chance at competing to win the topo, início prize. 14 "all star" girls return for further public humiliation starting in the fall! THE CAST OF AMERICA’S seguinte topo, início MODEL CYCLE 15! Come out and meet the new faces of the seguinte cycle of America's seguinte topo, início Model! ALL AGES ARE WELCOME for this fã meet and greet! Be the first to get an exclusive sneak peek at the new cast of models! WHEN: The evening of Wednesday, JUNE 23, 2010. To RSVP for this event and receive location and time details, send an email to: fashion.la.booking@gmail.com por 5pm PST Tuesday June 22nd. I was at início walking around my apartment then. I kept on thinking about the card that Tyra gave me for her new show. I was already dure that i was going to do it, and i was going to win. It was two days after the whole rescue por car thing with Tyra. I went over to the couch. I picked up the phone on the way. I grabed the card from my back pocket sat down on the sofá and called Tyra Banks. Gants discussed modeling alongside Jason Derulo and DJ Khaled, how Rita Ora was a celebrity mentor, and her passion for DJing house and electronic music. a comment was made to the poll: witch winner do you think had done the best in the contest ? a comment was made to the pop quiz question: Who Won Best Covergirl At The Fiercee Awards ? a comment was made to the pop quiz question: Who Won Worst Walk At The Fiercee Awards ? What was the designer's name for Cycle 5's finale runway? Watch TV Shows Online right now!